The FAA today issued eight more exemptions for commercial drone use in the US, bringing the total number of companies allowed to fly small UAVs up to 24. Of the exemptions, the ones granted to one Alan Purwin could be the biggest boon for Hollywood, since Purwin has been the go-to aerial coordinator on many of the biggest blockbusters of the last 20 years. Purwin has been working in the industry since serving as the helicopter pilot in 1984’sAirWolf. 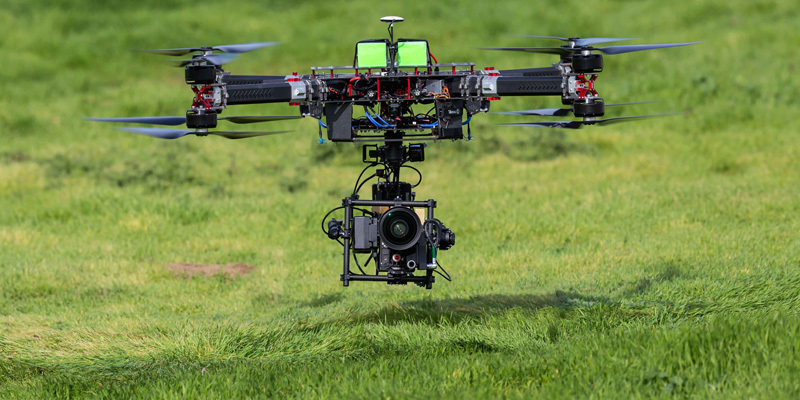 Since then, the pilot has been everywhere, founding Helinet Aviation, a helicopter transportation service that works with filmmakers, and acquiring Shotover Systems, an HD cinematography outfit. Both companies also received exemptions. Purwin’s credits are incredibly extensive, as he has worked with the likes of Steven Spielberg and Michael Bay in the past. He’s even worked behind the scenes in the upcoming Furious 7 and Batman v Superman: Dawn of Justice. That Purwin and his companies have gotten exemptions today suggests that the big blockbusters of the next decade will start to rely on drone photography more and more. The Motion Picture Association of America already made a major push for FAA exemptions last year, and was granted six by September. However, the agency has yet to issue its new rules on commercials drones, and reports indicate that the final rules may be restrictive.